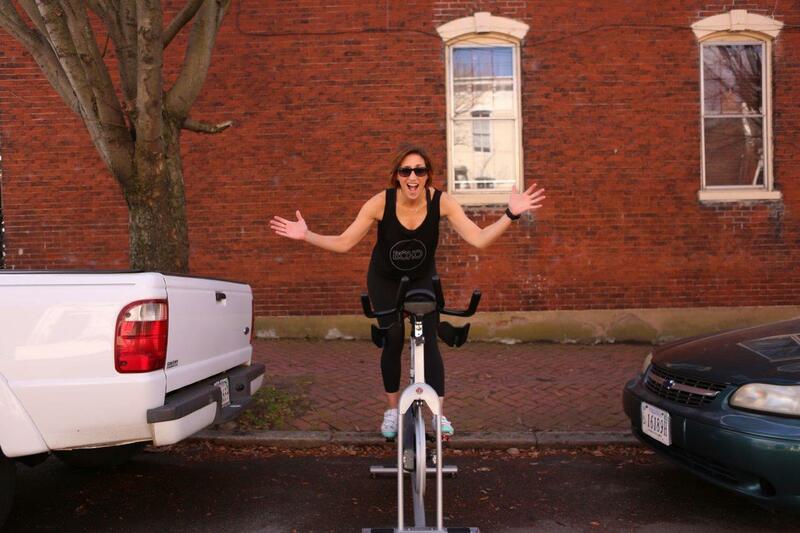 AnnMarie Grohs is the owner/operator of BOHO Cycle Studio here in Richmond which has two locations. The most recent is right here on the hill! AnnMarie is going to become an occasional guest contributor with tips for fitness and health so we thought we would take a minute and introduce you to her. Why did you decide to open BOHO in Church Hill? I want to be where people Live Work & Play. I like the cozy feel of Richmond neighborhoods and the ability to walk out the front door to get all the things you may need – food/coffee/drinks/shopping – so why not fitness!? I firmly believe you don’t need the biggest space in all the land to have a successful place. I would rather go for something smaller with a community feel and be an active part of a neighborhood. I want people to move more – so I bring fitness to them. Church Hill and the East side of RVA needed more fitness options. That being said there are fitness studios in the area – but not cycle, not high-intensity cardio-based fitness. There is the YMCA downtown and Franklin St., Crossfit Prelude, Shockoe Bottom Crossfit and Richmond Balance to name a few. Who inspired you to make that final decision and just move here? My dear friend, Kendra Murden, owns the Roosevelt and the more I got to know her the more time I started spending on the Hill. I would crush the Libby Hill Stairs and run the hills of Broad Street each week. I became familiar with the feel of Church Hill. The neighborhood is so active and vibrant, I wanted to be a part of it. I began looking in the area early 2016 and tried everything I could to make spaces work for my needs and just couldn’t do it. Square peg – round hole. I searched other neighborhoods and came across a couple of great options, then the team @PHS reached out late 2016. BOHO Core Launched in 2016. We were helping people move more now let’s help them learn what to eat. I’ve struggled with food sensitivities and found out because I did the work to learn. I want nutrition to be accessible and understandable in people’s lives. There is so much information out there it is so difficult to know where to start – this is where we come in. We break down your needs and wants with your health & fitness and help you simply get started.